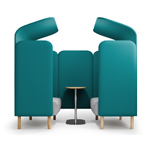 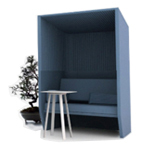 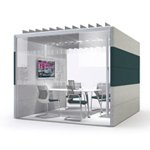 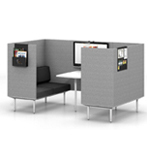 An acoustic cocoon (inspired by train compartments) that ensures a private, three-person meeting room without losing contact with the surroundings. 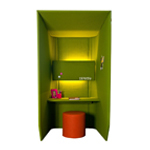 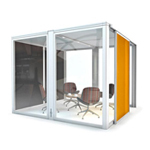 BuzziHive can be used as a stand-alone element in any space. 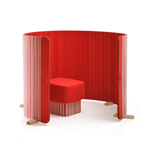 It can also be combined with other BuzziHives, creating a beehive effect.